The 5G revolution: a boon or curse? The 5G revolution is coming! Or so they said. The term has been in an important buzz word in our modern realm of integrated and interconnected devices. Why? Because 5G is touted to change the face of communication forever… for better or for worse. Just how better or how worse exactly? That is something that we’ll briefly ponder as we briefly review yet again how it would eventually replace the current 3G and 4G standards in the next few years. Speed and access are the main reasons why people are getting excited about 5G. Indeed, these two criteria are the most important development factors of all successive network protocol updates ever established. 5G at its slowest, is set to be ten times faster than the fastest 4G network possible. Once infrastructure for a 5G network is properly established it will almost be as if you are accessing any file directly from your workstation’s hard disk. That being said, a near instantaneous connection to the internet is — at least for now — not actually necessary for any type of office. Standard 4G networks today can provide live media streaming at high-definition, and access to simpler files such as documents or images is already almost as quick as accessing them from a local drive. The need for 5G is perhaps more focused on making room for IoT. With an extended frequency spectrum for computers and IoT devices to connect to, the expected slowdown of wireless services as networks become crowded is hugely mitigated. Additionally, some of the interesting concepts for 5G’s implementation starkly differentiate it from any other telecommunications standard or protocol ever used. Advanced algorithms designed to pinpoint the location of any end unit, for instance, can provide accurate transmission of data for obstruction-sensitive microwave frequencies. There will be more base stations, each significantly smaller than a typical cell tower, that will be scattered all over the urban landscape to relay data directly on your device wherever you go. One of the biggest unspoken development advantages of 3G and 4G network protocols when they were first adopted is that their foundations were actually built on existing infrastructure. Sure, there were predictably huge costs in setting up new systems to accommodate newer communication hardware in the 21st century. Yet that same radio tower built almost half a century ago has been directly repurposed to stream a full HD live teleconference, and other bandwidth-heavy media. Adoption therefore, was made gradually over the course of the first two decades spanning from 2001 to today. This is an advantage that will inherently be unavailable for 5G. For one thing, and at the risk of getting overly technical, 5G will use the millimeter frequencies of the 6Ghz -300Ghz range, something that no standard telecommunications hardware is built for by default. In addition, millimeter wave frequencies have certain specific limitations that previously used radio frequences don’t, such as obstruction sensitivity. These factors will inevitably force 5G network infrastructure to be built from scratch. There will be more base stations not just due to potential physical barriers, but the effective transmission range is also generally smaller (about 300 meters vs 70km for a modern radio tower). 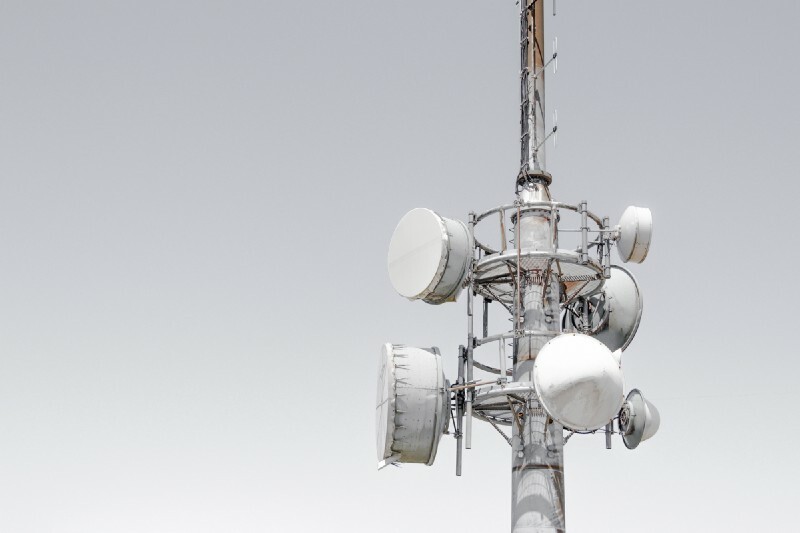 As a result, even as 4G and 3G are officially phased out, multiple network protocols will most likely remain in place for the next few decades. Adoption to business establishments and the like will take more time, due to how just completely new 5G is. 5G’s implementation hurdles may be a serious issue when it finally gets pushed into the primary standard in the next few years. However, a bigger concern actually looms over the horizon. Forget all of the inconclusive studies about cellphones and cancer for the last few decades, because 5G may be somewhat worse. A lecture on the expert conference on Wireless and Health at IIAS held in February 2017 has shown that millimeter range electromagnetic frequencies have the ability to affect organic matter. Essentially, the frequency has reached a level where it now directly interacts with human cells. The presenter of the lecture, Paul Ben-Ishai, showed that the human sweat gland could absorb electromagnetic energies within 77 to 110 Ghz. This is well within the drafted electromagnetic range of 5G, and thus, any 5G network can and will affect the human body in some way. The absorption rate is made worse if the sweat gland is forced to work more, like during heavy physical activity. At this point in time, the researchers still have no idea as to what this ultimately entails. It may cause some sort of skin disease that progresses to something much worse. Or, the energy may simply be dissipated as additional body heat. The research remains inconclusive, and like the cellphones versus cancer debate, significant medical data may not be immediately available for many years. To be fair, this does not conclude that 5G is bad. The point is just that more studies are needed before we can actually implement the technology. It is possible that the slow transition could help accumulate usage data while it still hasn’t taken over yet. However, large-scale 5G infrastructure rollout projects may require this critical research data before being signed off. All in all, while it may not be apparent now, the upcoming 5G network protocol is set to be a game changing in mobile technology. Just as 3G took the world by storm 15 or so years ago, 5G could set new technology standards for homes, offices, other spaces. At least to those countries that can afford the brand new infrastructure. So how will 5G impact the future of work? Well, for starters, we can expect faster data transfer speeds. That’s going to improve our ability to make sense of big data, and gain insights from data analytics. We also know that emerging technologies like IoT, AR and VR will be easily supported by 5G. In particular, IoT is likely to be a game changer for many sectors, particularly industrial, manufacturing, healthcare, agriculture and supply chain. 5G will underpin the adoption of IoT. 5G will also allow autonomous vehicles to communicate effectively, and could kickstart a self-driving revolution. This will extend to the workplace. We know that Amazon already uses 100,000 autonomous warehouse robots to help with fulfilment. This is just the beginning. And then there is the trend towards digital nomadism and remote working, with one in three employees expected to be based away from the office in a decade or so. Remote workers will have seemingly instantaneous connectivity, so will be able to access files and participate in live HD meetings without any performance issues. Business communications and networking will benefit from a makeover too. In fact, if 5G becomes the boon that is expected to be, then the sci-fi inspired augmented reality live conferences of the big screen may just be a few years ahead of us.